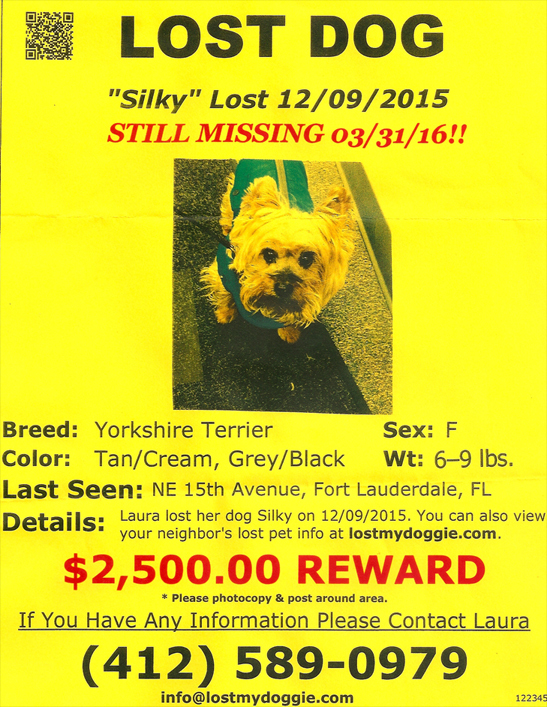 Contact us if your Pet is Missing. 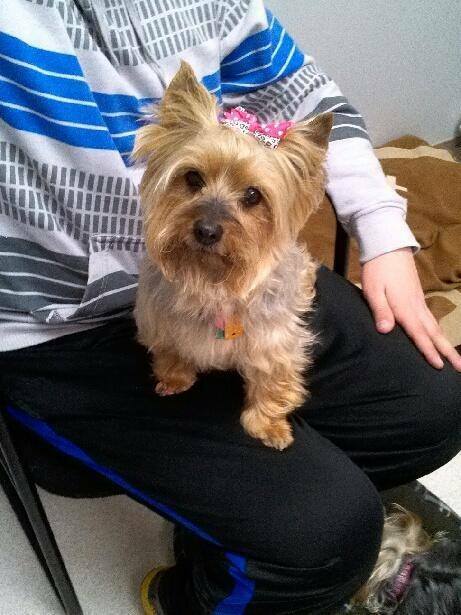 FEMALE - BLOND/TAN/BLACK YORKIE, APPROXIMATLEY 13 YEARS OLD. OUR FAMILY AND HER SISTER ARE DEVASTATED AND WANT HER BACK!! We created our own Wilton Manors East Neighborhood Association Facebook page. If is important to note that many "strays" might be someone's missing pet and it is more important to contact their owners than providing a meal for the pet. Many pets suffer life threatening allergies which the wrong food could trigger. Give them water and CONTACT SOMEONE to start the search for the owner. PLEASE be careful where you place these products, especially if they are on the perimeter of the property as canines/felines are obviously very vulnerable. Just want to bring to the neighbors attention that I truly believe that my beloved pet, dog, died this past weekend as a result of picking up a "rat bait" (what appeared to be a small square with gel insert) from someones lawn in our neighborhood (N.E. 16th Avenue) recently while walking him on a leash . I immediately pulled it out of his mouth but it must have been too late and set off a chain of events that perhaps caused his death. I bring you this news with heartfelt sadness and to insure that you are of the situation and keep your dogs and cats safe. Have a Poodle, Pekinese, Parakeet, Pomeranian, Persian, or Potbelly Pet? Does your Pet ever prance through the Neighborhood without your permission? Then you must become a member of the East Neighborhood Association (ENA) so that you can register your PhePhe or Phylo or Popeye! If your beloved animal escapes and is prowling the streets alone, ENA will alert other ENA Members (by email with a photo and other identifying information) that your furry or feathered family member is missing. The Pet Registry is just one of the new services that will be offered by your East Neighborhood Association. We will present the details of this new ENA service at our next meeting, so please bring your pet details & photo if you want to register. Be sure to let us know when your pet is found.